I am, admittedly, not a huge Zinfandel fan. I find most overripe, pruney and a little thin. 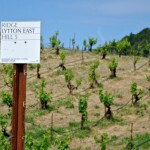 That said, Ridge makes two of my favorite wines – not favorite Zinfandels, but favorite overall wines – the Lytton Springs and Geyserville. I’ve had every vintage since ’06 and they are all great. Some greater than others, but all truly great. Ridge is doing awesome things with the most American of grapes, which has been growing in this country since the mid 1800′s. The 95 point, 2009 vintage of this wine was closed down when I drank it in September. After a day of air, it showed beautifully, but today, the 2010 is the wine to drink. 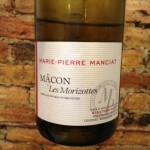 It has a beautiful perfumed nose of lavender and cherry with a broad mouthfeel and a very long finish. This isn’t technically a Zinfandel, with 23% Petite Sirah for added weight and another 10% of other varietals. I think this type of blending benefits Zinfandel greatly, along with harvesting at lower ripeness levels. I find this wine to be very polished from start to finish. Whatever the trick, Ridge has another hit on their hands. The Wine Advocate’s Antonio Galloni gave it 93+ points and at under $30, it remains one of the country’s greatest values. “The 2010 Lytton Springs (67% Zinfandel, 23% Petite Sirah, 7% Carignane and 3% Mataro) is fascinating because it seems to have handled the heat spikes far better than the Geyserville. 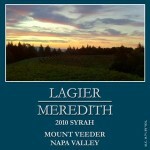 This is first and foremost Lytton Springs, and a product of the 2010 vintage second. Firm tannins frame an expressive core of dark red cherries, flowers and sweet herbs. 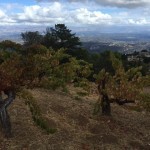 The inner perfume of Zinfandel resonates on the finish. The 2010 needs time to soften, but it is quite beautiful. Lytton Spring is a much larger site than Geyserville, the choices for lots are much greater, which affords the winemaking team a great deal of flexibility in crafting the final blends. Anticipated maturity: 2015-2030.